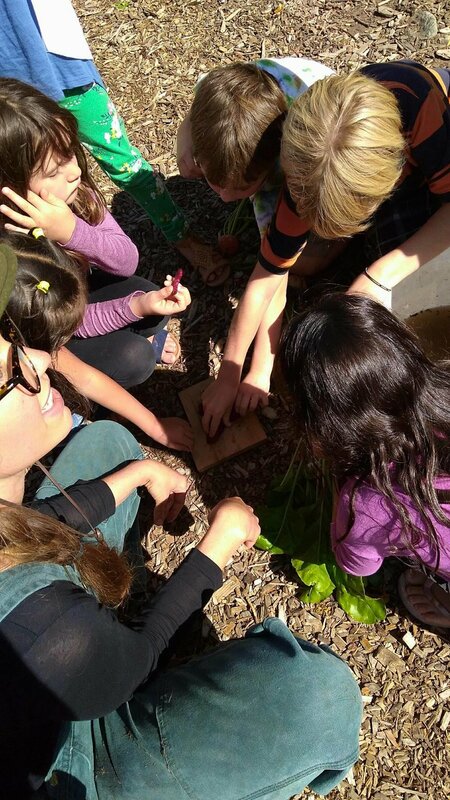 Welcome back to school Farm to Classroom students! 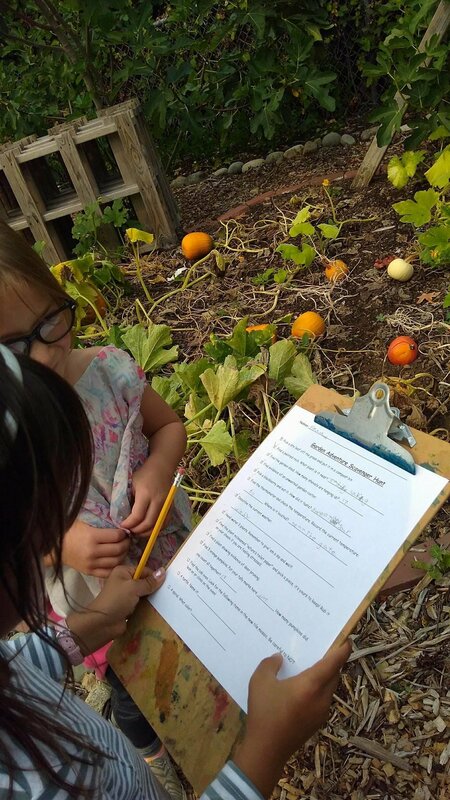 To (re)introduce students to the garden space, we spent our first class session on a scavenger hunt. 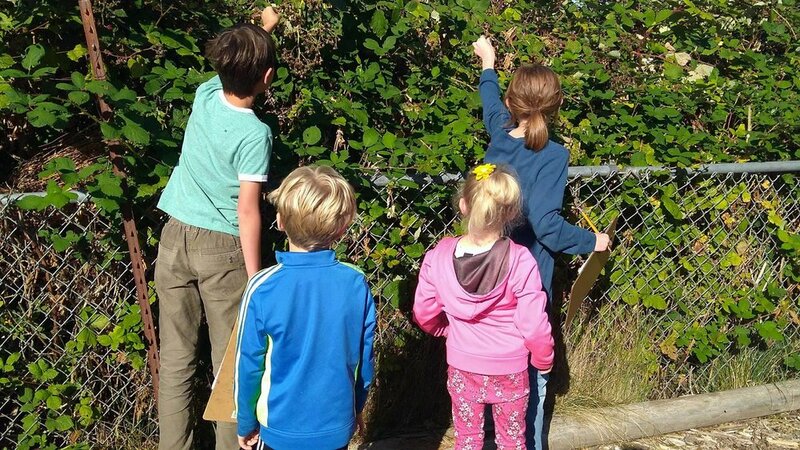 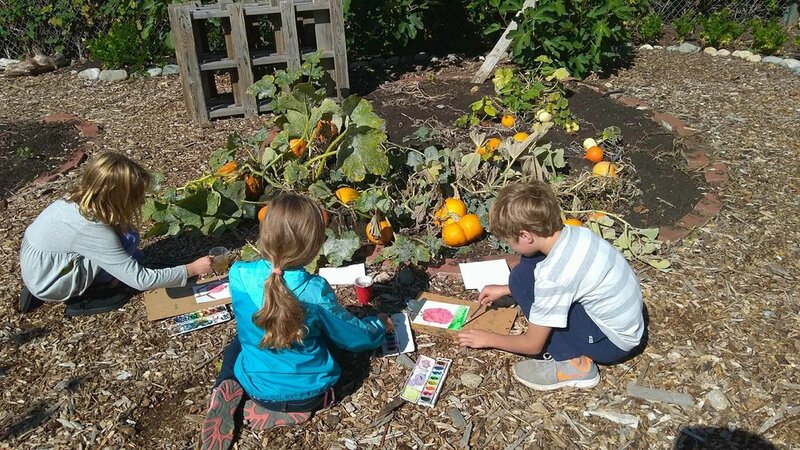 With clipboards in tow, students joined in pairs and trios to search the garden for bright orange pumpkins, ripe blackberries, compost bins, shovels, evidence of deer intrusions, and more! 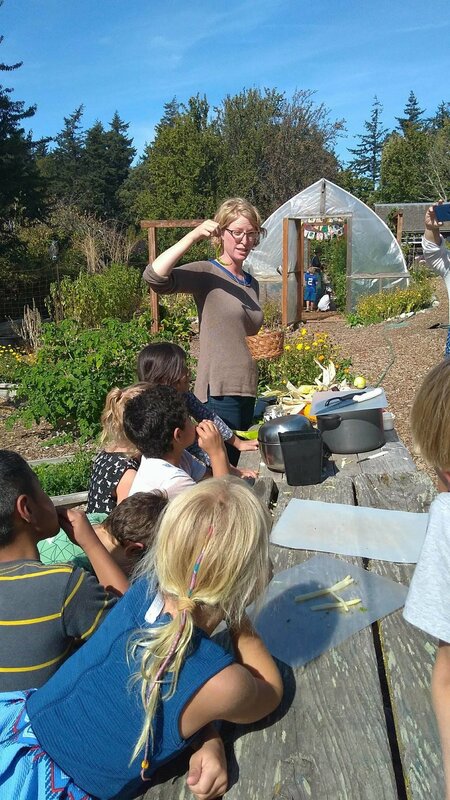 The following week we hosted an edible garden tour to enjoy the last of summer's abundance. 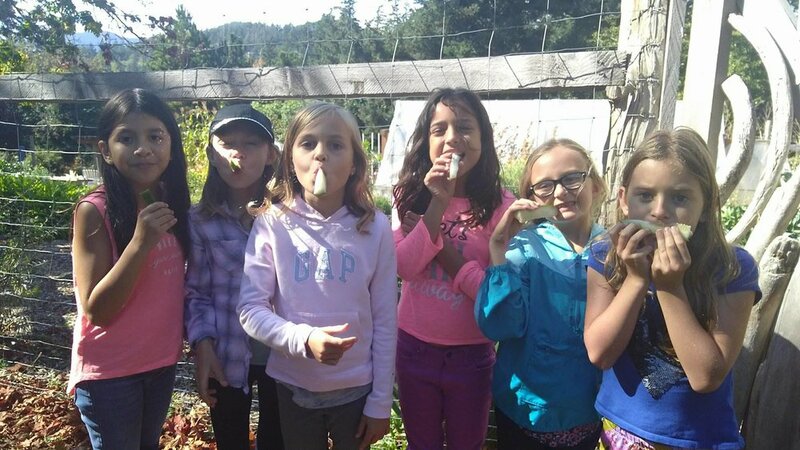 Students tasted big and mini cucumbers, sugar and chioggia and golden beets, parsnips, tomatoes, kholrabi, green and white asparagus, fennel pollen, peppers grown in Miss Ellen's garden, ground cherries and of course, blackberries. 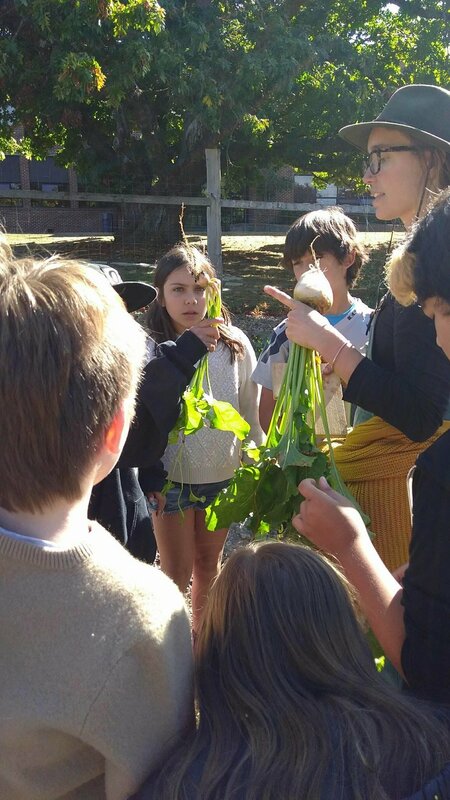 Many of our students were quick to identify the variety of vegetables Chef Zach and Bing cook with in our school lunches! 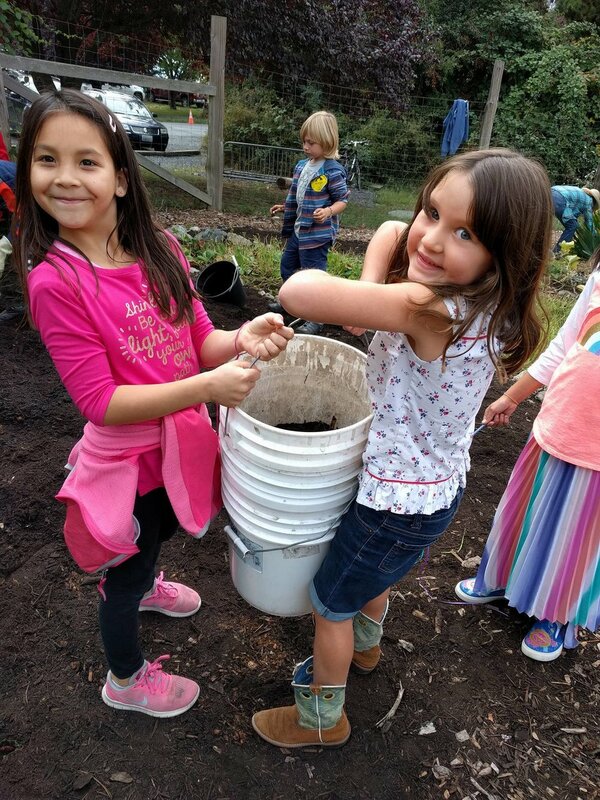 To keep our garden thriving throughout the fall months, our friends at San Juan Sanitation Co. donated and delivered six yards of healthy soil! 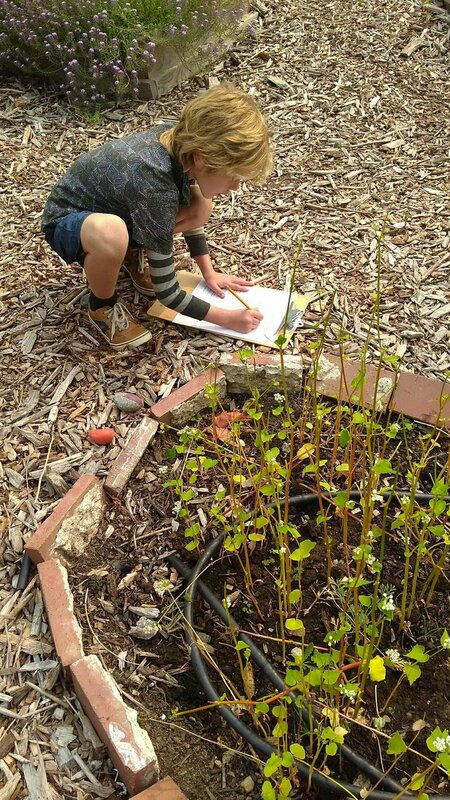 Our students spent the day distributing the soil to garden beds and showing their appreciation through watercolor thank you cards. 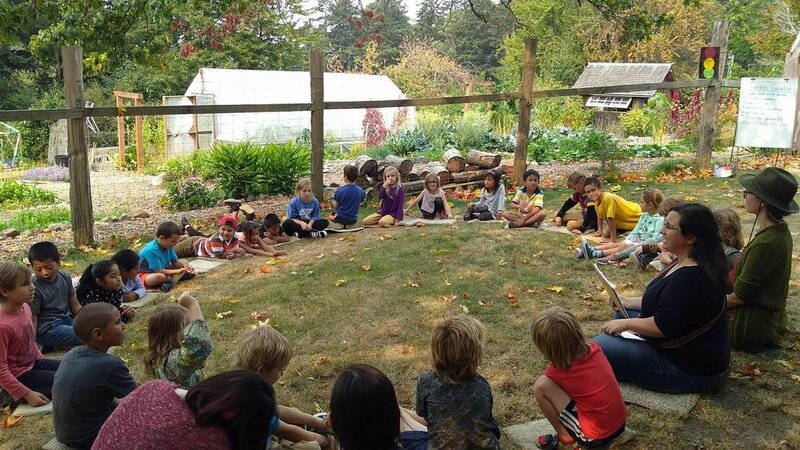 We held a conversation about the benefits of composting and plants need nutrient-rich soil. 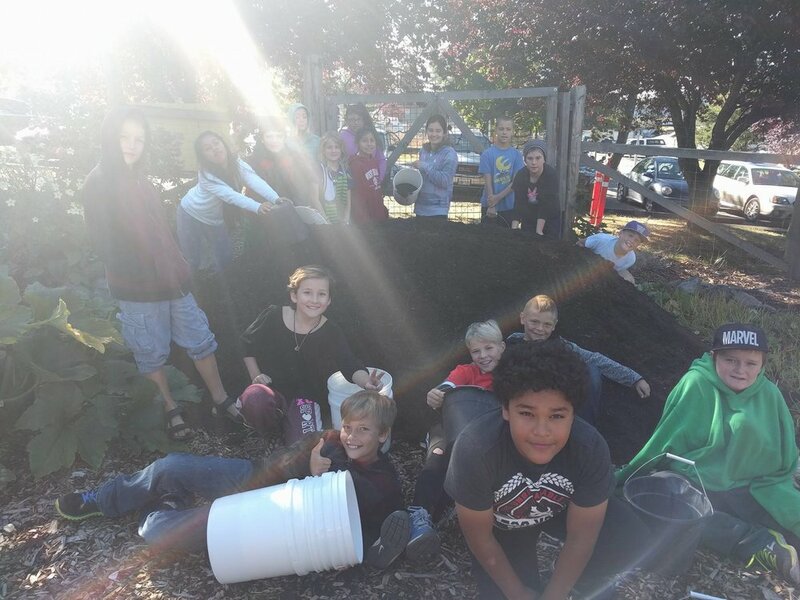 Thank you to San Juan Sanitation Co. for your support! 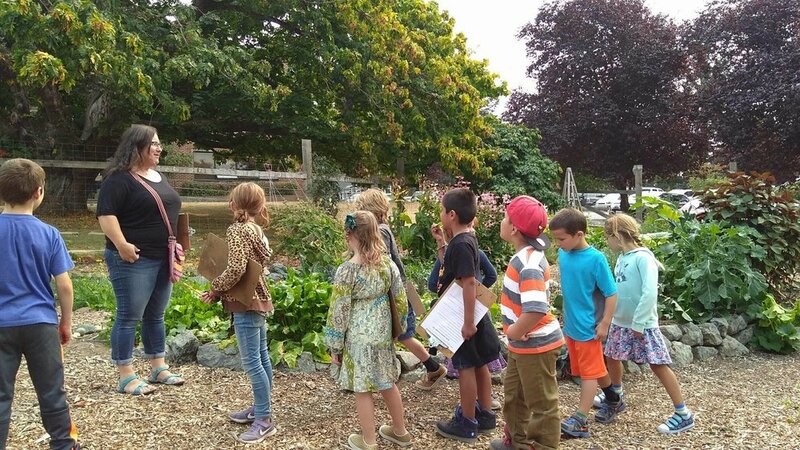 Our final week in class was the week before the annual Orcas Island Farm Tour. 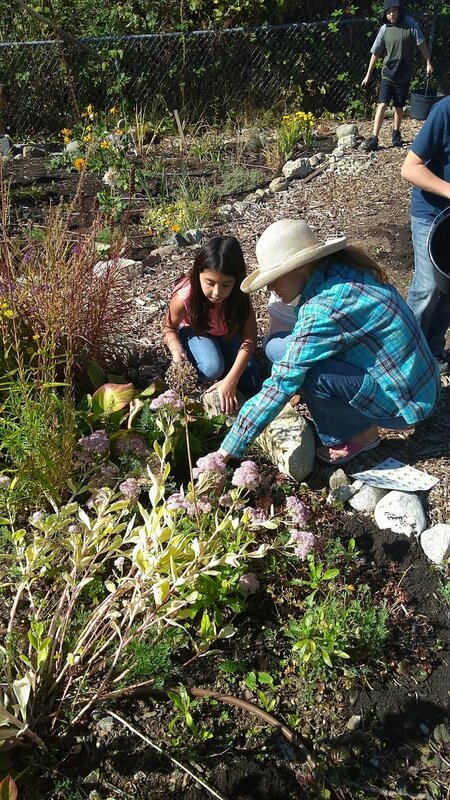 A day in which community members can visit local farmers on their land and see the season's bounty. 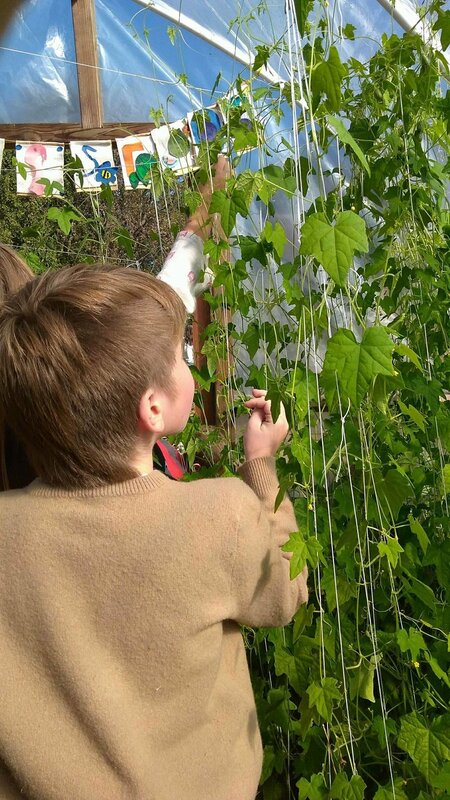 Luckily for us, the folks running the event allow our school garden to participate in the tour; filling our students with pride! 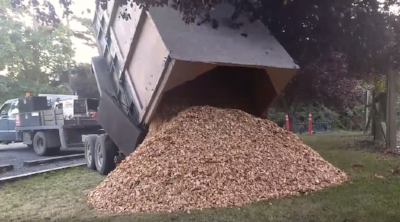 Our big task before the tour was to spread a fresh batch of wood chips along the pathways. 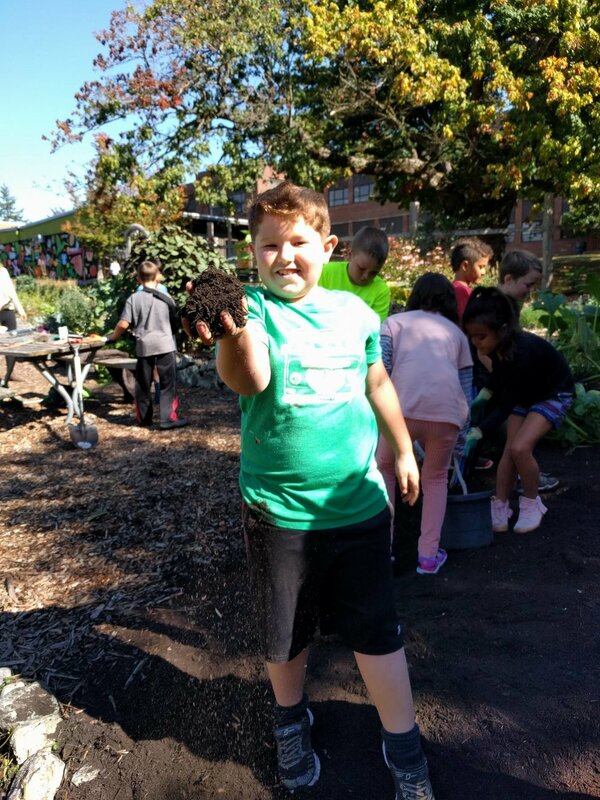 Thanks to Rich Harvey of Harvey Logging, LLC, we received a truckload of wood chips to have our garden shine on the day of the tour! 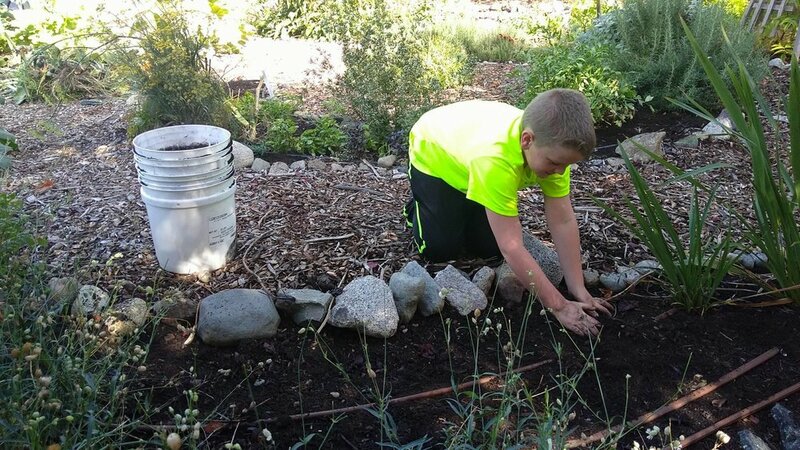 The middle school Farm to Classroom Exploratory also started up this month! 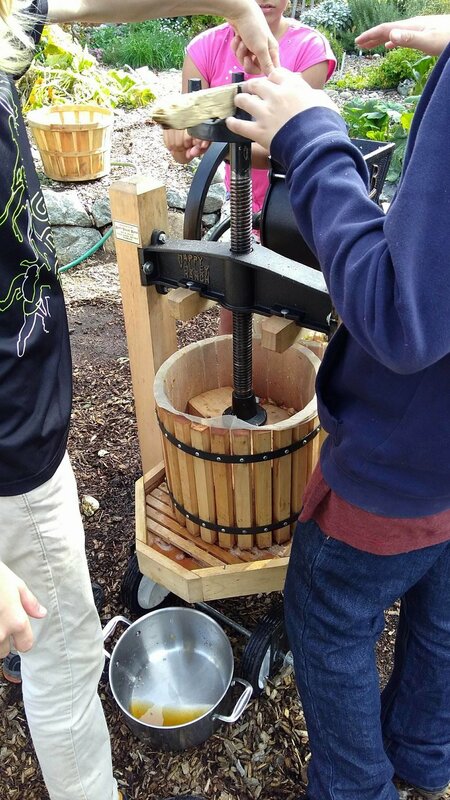 The first class was an introduction into tomato processing. 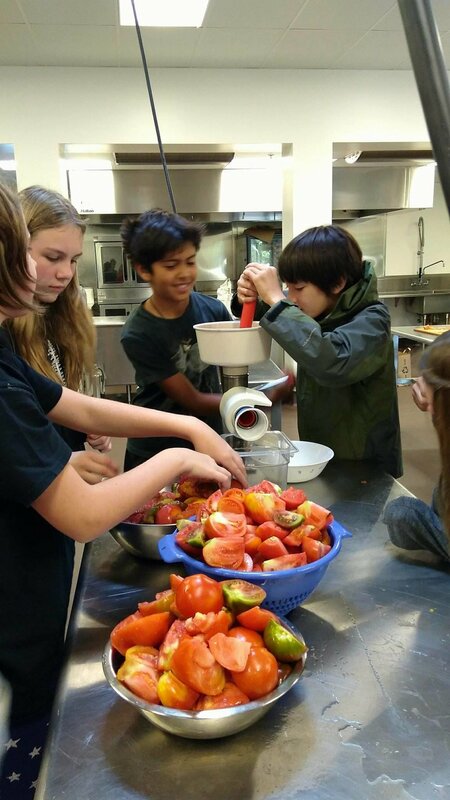 We washed and chopped heirloom tomatoes before adding them to a hand-cranked food processor. 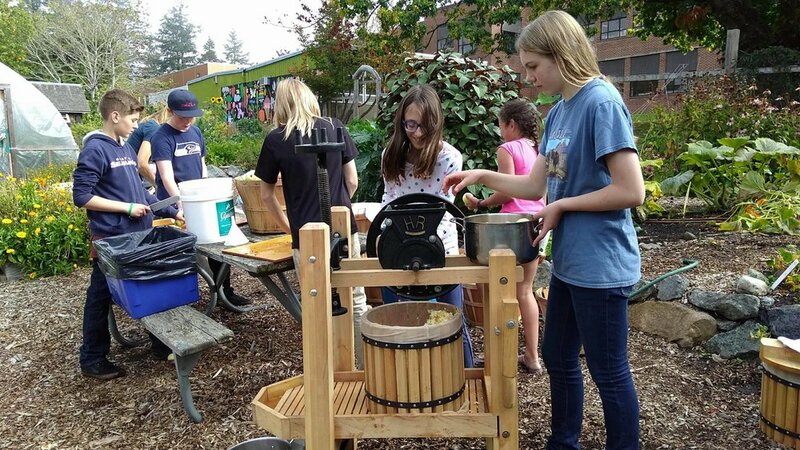 We worked in groups to crank the machine as we had over 20 pounds of tomatoes to process. 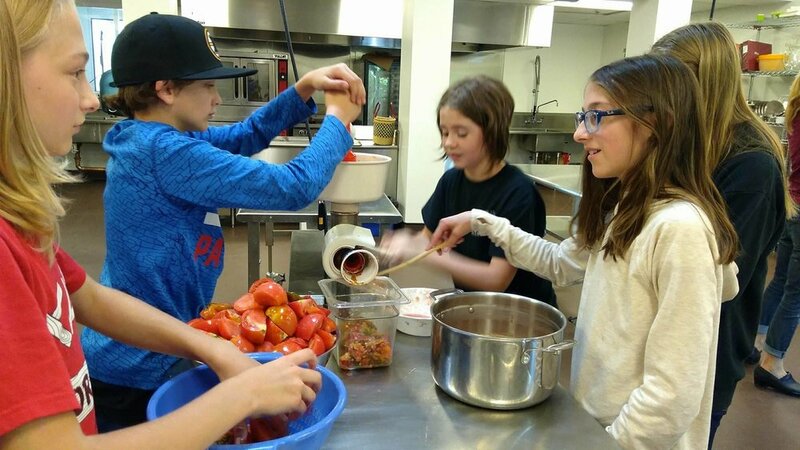 Once we had two large pots of fresh tomato juice, we began to simmer the sauce on the stove top with Italian spices. 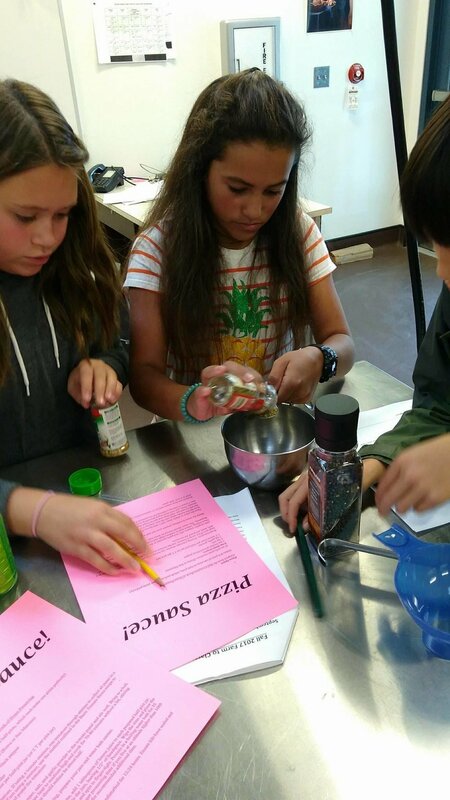 Our goal: make pizza sauce! 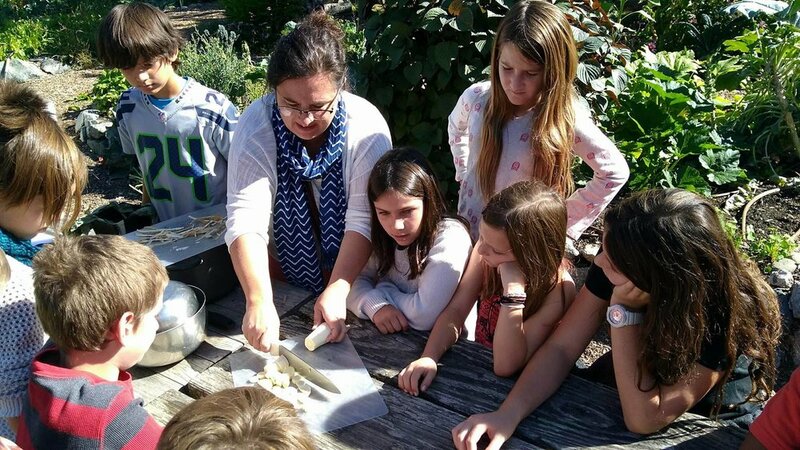 The following class we met back in the culinary arts room. 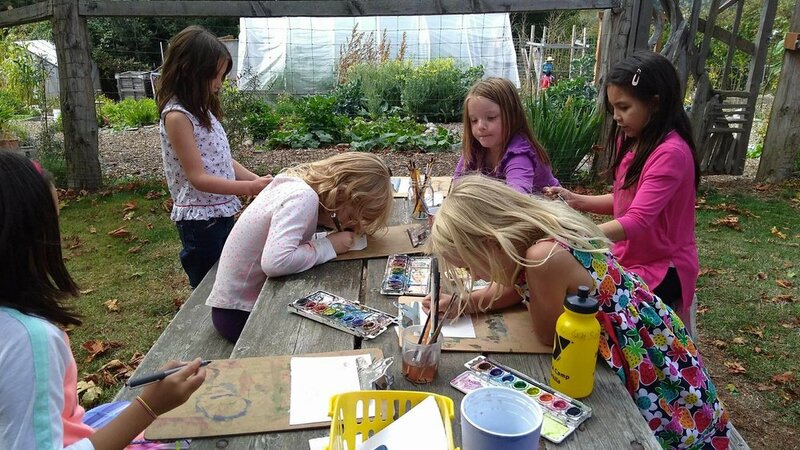 We made no-knead whole wheat honey bread, and "mason jar butter" from fresh cow's cream. 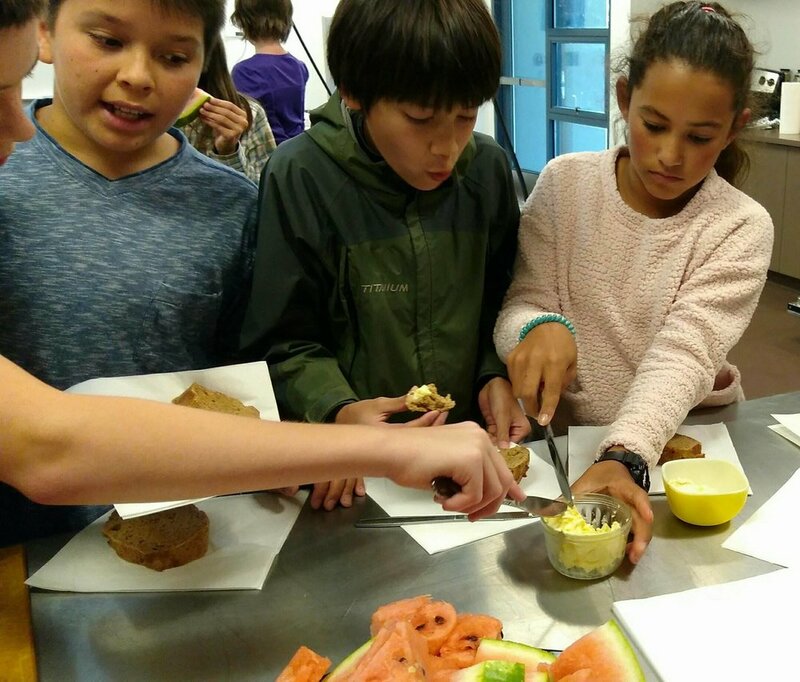 Many of our students expressed their gratitude for the convenience of store bought butter, but preferred the taste of their homemade version; demonstrated in the picture below as students huddle around the butter! 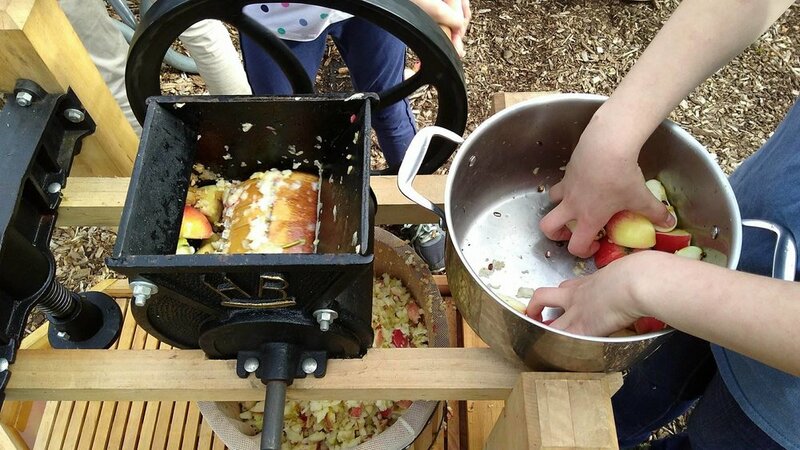 Our last class of the month was spent learning another Autumn inspired folk-skill: apple pressing! 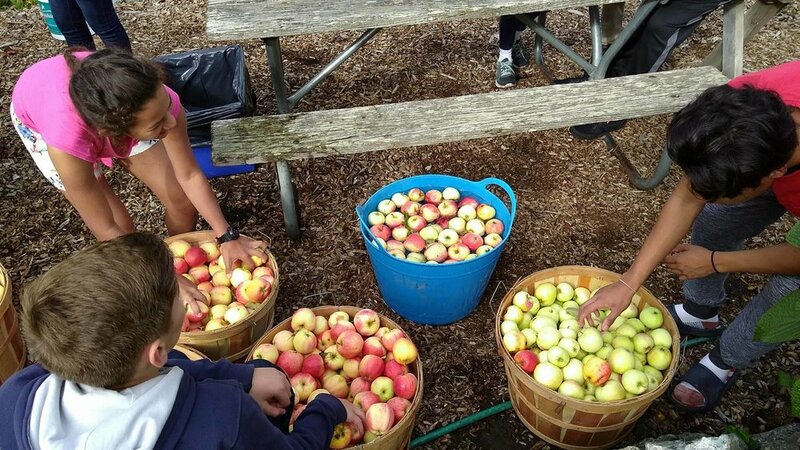 Mrs. Pietsch acquired 5 bushels of locally sourced apples for the pressing. 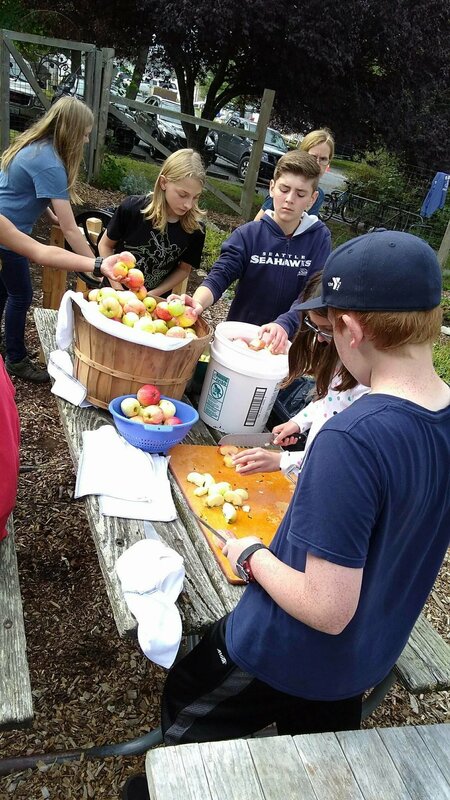 Each student called out their estimate of how many gallons of fresh cider we would produce and then took turns washing, chopping, cranking and pressing. 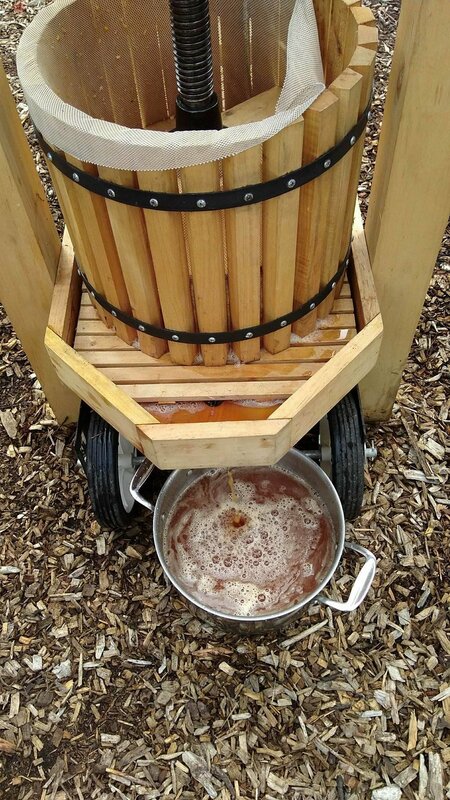 After close to two hours of work, we collected 7 gallons of cider!